One of the world’s most famous foodies, Emmy Cho known – widely known on YouTube as Emmymadeinjapan – has taken it upon herself to taste and rate the weirdest foods. The vlogger, who is a Chinese/American YouTuber born in California and based in Rhode Island, aside from cooking intricate dishes, receives different foods from all over the world (mainly canned) and tastes them online. Cho has over 1.4 million subscribers on YouTube who don’t miss a second of her food videos. 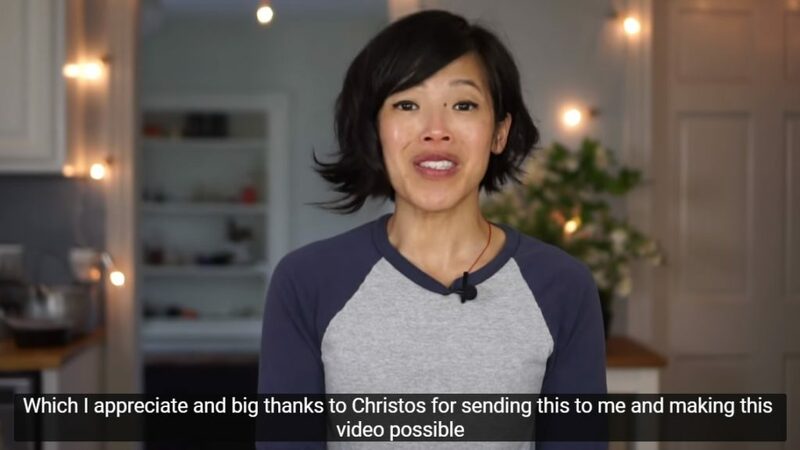 One of the most popular, even though it was filmed almost a year ago, is a video of her trying a 24-ration from the Greek special forces. A fan of hers, named Christos, sent it all the way from Greece. The box contained tissues, salt, sugar, water purifying tablets, a do-it-yourself heater, matches, a can of green beans with oil, a can of meat stew with beans and another can with green peas and the same meat stew; crackers, candy, freeze-dried coffee and tea.